After being the cinematographer for Bollywood biggies like Blue, English Vinglish, Boss, Lekar Hum Deewana Dil and upcoming film Tevar – Laxman Utekar has added another feather to his cap as he turns director for Marathi film, Tapaal. Produced by Maitreya Mass Media and distributed by Pickle Entertainment, starring the likes of Milind Gunaji, Nandu Madhav, Veena Jamkar, Urmila Kanetkar and introducing Rohit Utekar, Tapaal is all set to release on 26th September 2014. 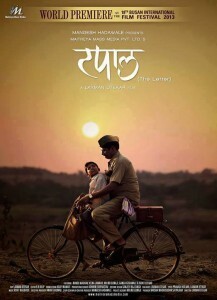 Tapaal is National & International Award winning Marathi film set in a small village in the year 1977. It dwells with sympathy, concern and understanding on the bond between a little boy and a childless couple, and the social discrimination that they face. Even before its release, Laxman Utekar’s directorial debut is creating the right buzz. It has been critically acclaimed and has even won various accolades & awards at different film festivals for its sterling performances.Tapaal had its World Premiere at 18th Busan International Film Festival 2013, South Korea. It was selected in Indian Panorama Section at 44th IFFI (International Film festival 2013) and 9 other International Film Festivals as well. 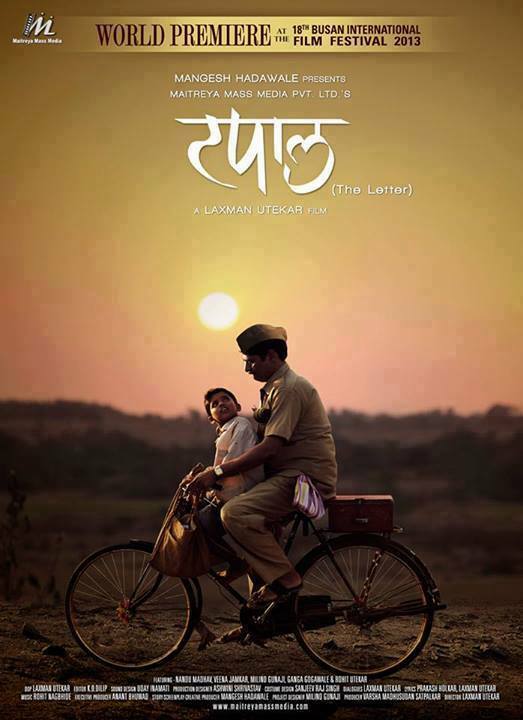 It was also screened at 3rd Eye Asian Film Festival and Pune Film Festival. That’s not all. Veena Jamkar bagged the best actress award at South Africa Film Festival. While Rohit Utekar won Best Child Actor Award, Prakash Holkar got the best lyricist award for his emotional composition ‘don disanchi sawali ‘ at the Maharashtra state film Awards.